Fast Food Restaurant based in Sabah. Situated at corner of a mall near the street of Asia city. 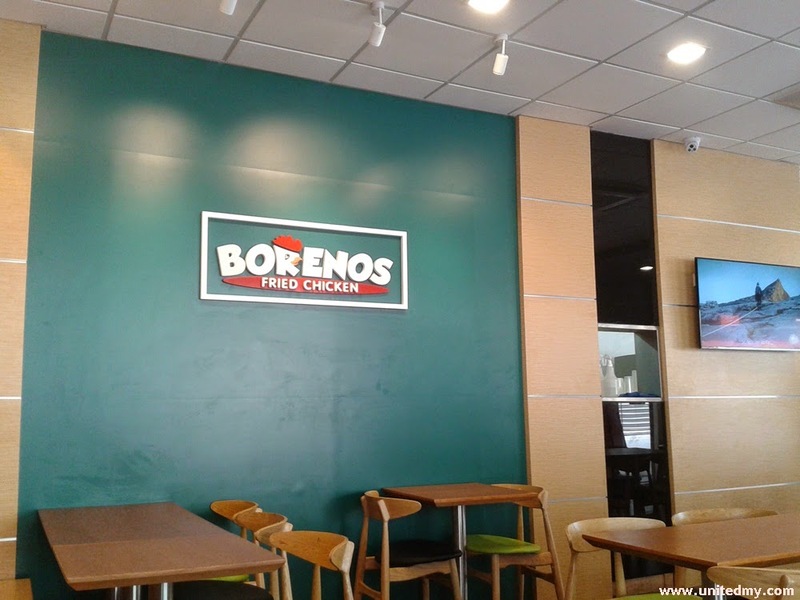 Being the first Borenos restaurant opened up on 9 March 2015. Local community are encouraged supporting the effort of daring entrepreneurship as maybe one day Borenos will be an international fast food player offering millions a chance to taste Sabah farm fresh delicious fried chicken. Review on this meal rating given is 5/5. The marsh potato is overwhelmed with delicious mouthwatering cream. Anyways, it is better if can be much more salty. Moreover, I think it too good to be true asking for more chicken pieces. 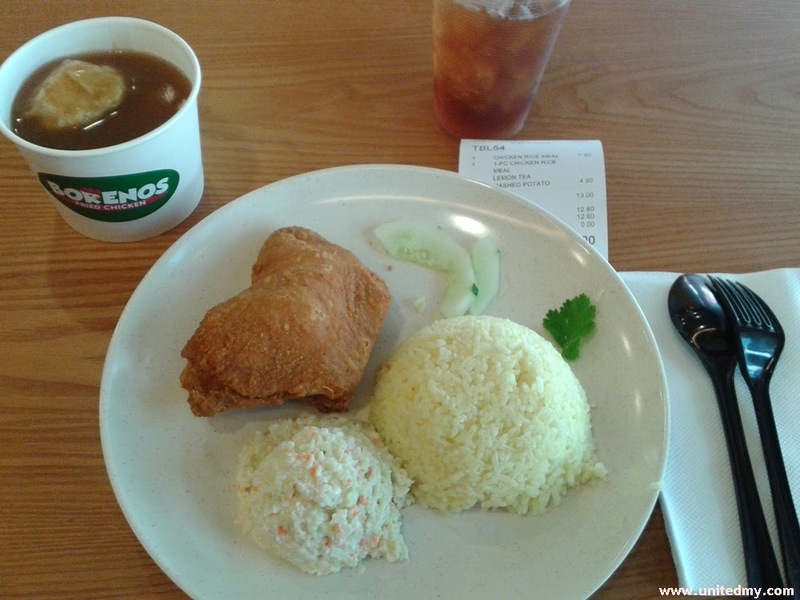 As for the coleslaw, ice lemon tea, cucumber are quality and fine foods. Unlike any other fast-food restaurant concept, Borenos staff preferred serving it by bringing order to table. Customer should pay first and take table number stand. Besides, Borenos restaurant is always promoting Sabah interesting places by playing video on its wide LED TV screen.